A Daily Telegraph Book of the Year The story of England's medieval queens is vivid and stirring, packed with tragedy, high drama and even comedy. It is a chronicle of love, murder, war and betrayal, filled with passion, intrigue and sorrow, peopled by a cast of heroines, villains, stateswomen and lovers. 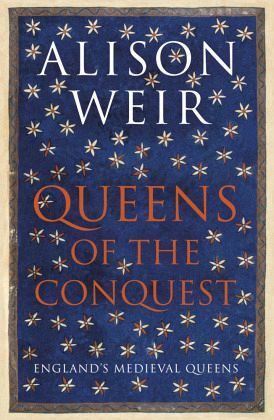 In the first volume of this epic new series, Alison Weir strips away centuries of romantic mythology and prejudice to reveal the lives of England's queens in the century after the Norman Conquest. Beginning with Matilda of Flanders, who supported William the Conqueror in his invasion of England in 1066, and culminating in the turbulent life of the Empress Maud, who claimed to be queen of England in her own right and fought a bitter war to that end, the five Norman queens emerge as hugely influential figures and fascinating characters. Much more than a series of individual biographies, Queens of the Conquest is a seamless tale of interconnected lives and a rich portrait of English history in a time of flux. 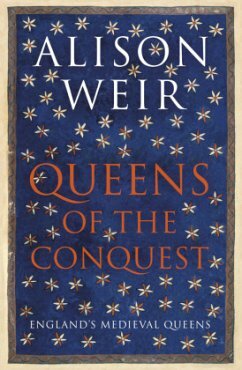 In Alison Weir's hands these five extraordinary women reclaim their rightful roles at the centre of English history. "Another polished, fascinating gem from Weir herself, the queen of history writing."